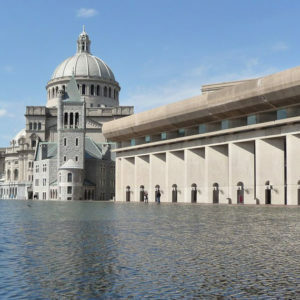 In 2006, The First Church of Christ, Scientist realized it faced a unique real estate challenge. 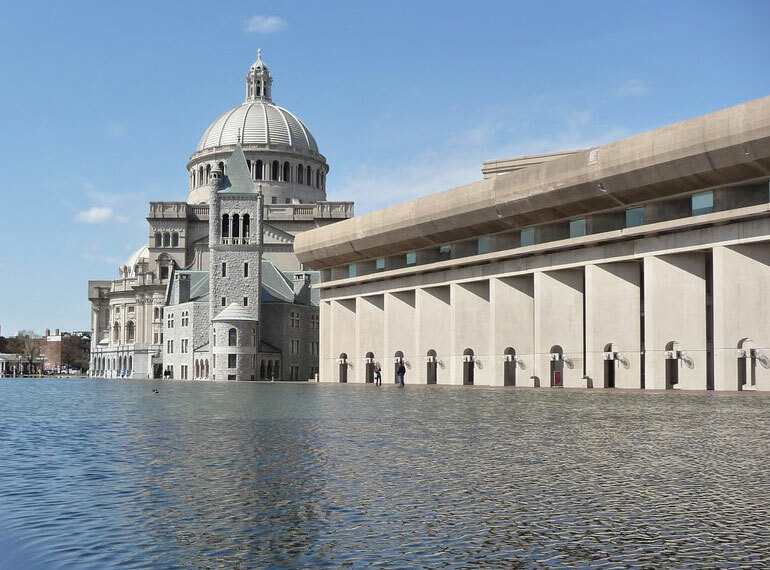 The Church led a thriving organization and owned an iconic, historic campus in Boston’s Back Bay, but it had significant excess space, high operating costs, significant deferred maintenance, and budget constraints. Over the last 130 years, the Church had acquired and developed its main 14-acre campus as well as the property on the other side of each street that borders the plaza for a total area of approximately 24 acres. The Church was a steward of this real estate they had inherited from previous generations and occupied all contiguous plaza buildings although they did not need all of the space. The Church engaged Leggat McCall Properties to evaluate the organization’s real estate portfolio and create a plan to right-size their footprint and put the balance of their assets to productive use to further their mission over the next 100 years and beyond. Working closely with the Church as Strategic Advisors, LMP’s first step to was to evaluate the organization’s real estate holdings and identify potential issues that needed to be considered in developing a master plan. 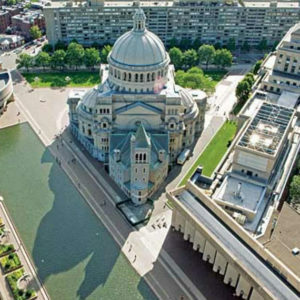 Knowing that the Church wanted to maximize revenue but not at the expense of its core beliefs, LMP established key priorities for the project, including: consolidating the administrative footprint of the Church; putting excess space to productive use; decreasing real estate operating costs; obtaining additional development rights; and monetizing assets without adversely affecting the character of the Plaza. Early in the process, LMP helped the Church assess all its real estate holdings and classify the assets as: core, which it would retain for its own use; strategic, which the Church could monetize with strict covenants through ground leases; and noncritical/financial, which the Church could dispose of or repurpose. The assessment resulted in 27 assets and allowed LMP to build a master plan including specific actions and timing. In order to decrease the Church’s footprint, the organization’s administrative operations were consolidated into three main buildings at the heart of the campus. The resulting excess real estate was then put to productive use by executing long-term leases to users and long-term ground leases with investors. These transactions allowed the Church to monetize a significant portion of its portfolio, drastically reduce its operating costs, and maintain control over the operation and long-term character of the Plaza. 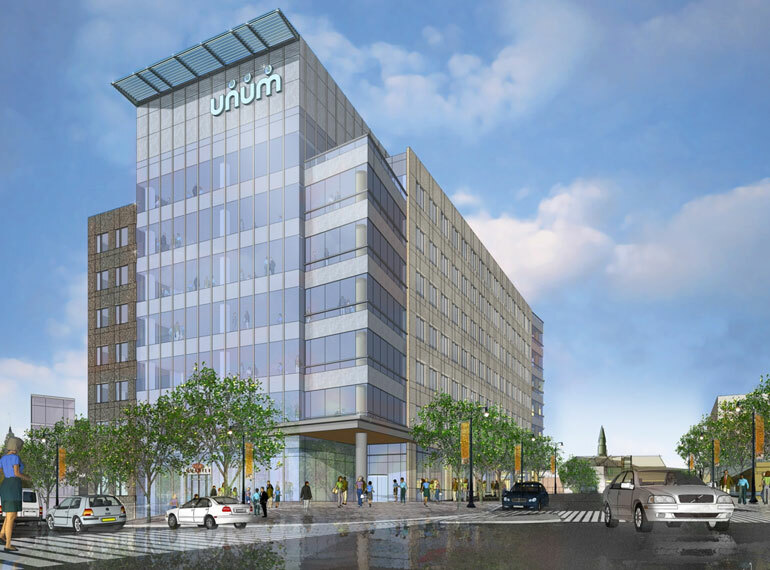 LMP then led the process to achieve the permitting and monetization of two parcels of land totaling 950,000 sf of development rights on the site, comprised of a 26-story mid-rise and a 60-story high-rise structure. The permitting environment was ambiguous and challenging. The site is a landmark, both from a historic and an architectural perspective. 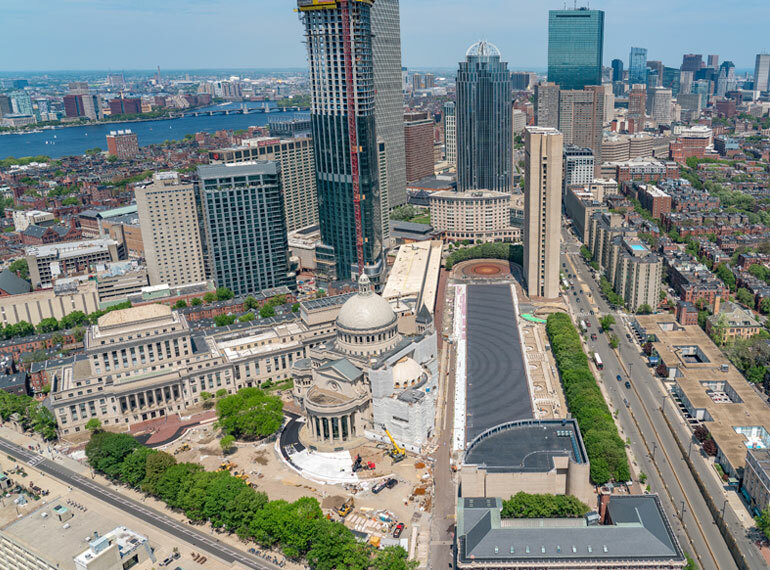 In addition to the high-profile nature and central location of the site, it represents the largest privately owned, publicly accessible open space in the city of Boston. In addition, the permitting process was particularly complicated because the Church did not merely want to maximize profit. 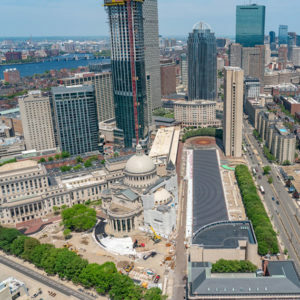 Instead, it wanted to craft a thoughtful permitting plan to achieve a variety of goals, which included: maintaining the spirit and open space of the Plaza, both as its home and as a “public” asset to be shared and enjoyed; securing the support of all surrounding neighbors, as the Christian Science Church is a mission-driven organization that is rooted in the community; and meeting the financial needs of the organization in the face of challenging economic conditions. Strategically, the best way to maximize flexibility and reduce risk for the Church was to set up a Planned Development Area (PDA) encompassing the entire plaza, obtaining the approval for the parcels, and then allowing the selected developers to pursue the optimal use of the sites. The PDA was unanimously approved by all stakeholders. The Church was able to monetize the rights to the land and Carpenter & Company, Inc. and Pritzker Realty Group are now developing two new buildings: One Dalton, a 60-story hotel/condominium tower that includes the second Four Seasons Hotel in Boston, and 30 Dalton, a 26-story luxury residential building. 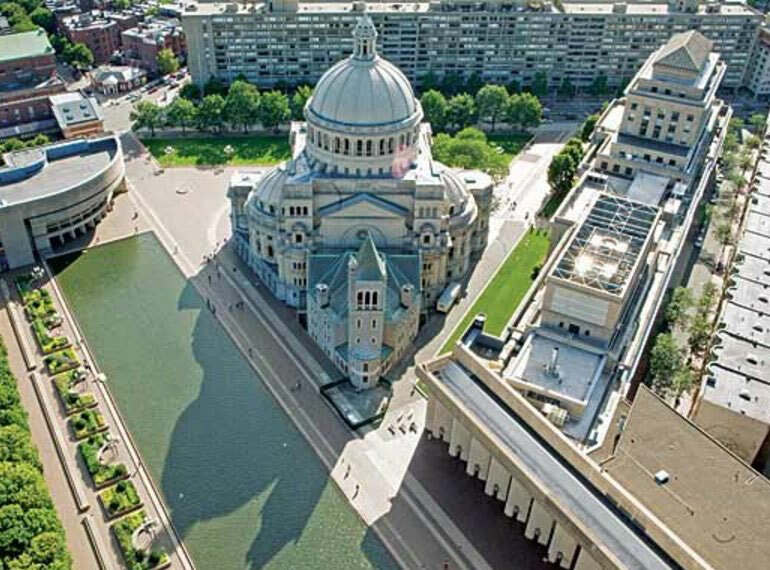 As of January 2019, the Church has consolidated its footprint to 30% of what it was in 2006 and has put all of its properties to productive use, monetized their non-critical/financial assets, addressed most of their deferred maintenance challenges, including a comprehensive restoration of the plaza, and sustainably reduced their financial and staffing resources devoted to real estate. This has enabled them to devote more resources to furthering the core mission of the Church rather than maintaining an extensive inherited real estate portfolio. Now in the final stages of the engagement, LMP is assisting the Church with ongoing management of its real estate holdings. LMP created an interactive management model that captures information on all 27 assets, charts key milestones, cash flow, capital expenditures, revenue opportunities, and recapture rights. The tool allows the Church to look holistically at its portfolio and manage it strategically in the near term as well as the long run.